As an independent school we are aware that there are many cases where financial barriers prevent talented pupils from accessing an education at Summer Fields. 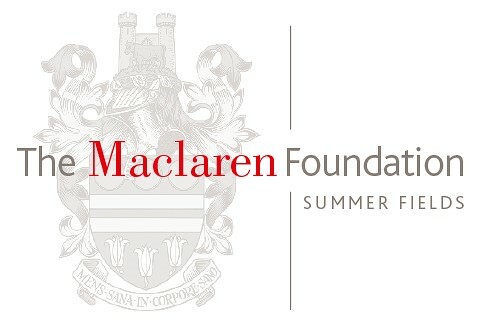 The Maclaren Foundation seeks to address this by providing funded places. As an Old Summerfieldian you have a lifelong connection with the School and its community and are always welcome to come back and visit us. "I believe that at Summer Fields our children receive not only the best possible education, but also in the best possible environment and surroundings, to prepare them for senior school, university and professional life." Summer Fields wins FUNDRAISING INIATIVE OF THE YEAR at TES Independent School Awards. In 2014 Summer Fields celebrated its 150th anniversary year and publically launched its most amibitious capital campaign to date, 150 Years and Beyond, to raise £8m and so benefit generations to come. Phase I - The Salata Pavilion was completed in October 2015. Your will is the best way to provide for your friends and family, to support the causes you believe in and to acknowledge the influences that have shaped your life.